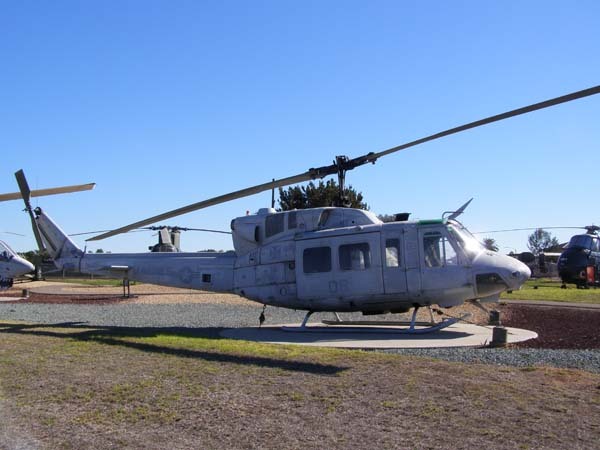 After the Vietnam War, the UH-1N played an important part of Marine Corps operations beginning with the October 1983 invasion of Grenada (Operation Urgent Fury). UH-1N’s from Marine Light Helicopter Squadron 167 (HML-167) performed Command &amp; Control functions as well as participated in the landing on the island of Carriacou. The last combat deployment of the UH-1N by the Marine Corps was to Afghanistan with Marine Light Attack Helicopter Squadron 169 (HMLA-169) in 2011. The UH-1N was replaced by the more powerful, four rotor bladed UH-1Y Venom. Marine Light Attack Helicopter Squadron 773 (HMLA-773) was the last Marine squadron operating UH-1Ns, retiring the last one on August 28, 2014. The UH-1N’s primary missions are visual observation and target acquisition, command &amp; control and reconnaissance. Secondary missions include medical evacuation, transport personnel, special teams, equipment and supplies in all-weather, day or night conditions. In 1962, the Marine Corps chose the UH-1B “Huey” to replace the Kaman OH-43D (HOK) Huskie. Designated UH-1E, the main differences with the Army variant included the use of all-aluminum construction for corrosion resistance, radios compatible with Marine Corps ground frequencies, a rotor brake for shipboard use to stop the rotor quickly on shutdown and a roof-mounted rescue hoist. Deliveries began on February 21, 1964, with 192 aircraft built. In 1968, Bell began to develop a twin-engine stretched version of the Huey with the designation UH-1N. The Pratt &amp; Whitney Canada TwinPac engines improved both hot day and altitude performance. Should one engine fail the remaining engine can deliver enough power to maintain cruise performance at maximum weight. 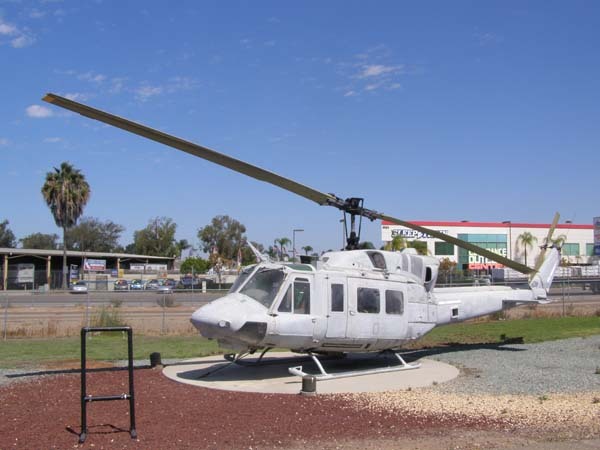 The UH-1N was first delivered to the USMC in 1971.